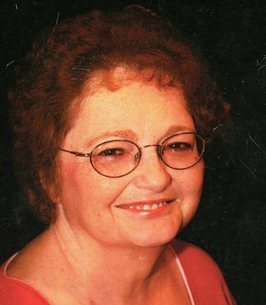 Ruby "Joyce" Jobe, age 75, of Lindale, Texas passed away Friday, September 28th, 2018, in Tyler. She was born May 23, 1943 in Dallas to the late Carl & Jessie Dykes. Although she lived in Dallas, Tyler and most recently Lindale, Mineola is where she liked to call home. She was a member of New Hope Baptist Church and for many years operated a Day Care out of her home and spent her retirement devoted to her family and friends. She was preceded in death by her parents and brothers, Tommy Dykes and Jackie Dykes. Survivors include husband, Billy Jobe of Lindale, TX; two sons, Carl David Grimes & wife, Bridgette of Kilgore, TX, and Jason Jobe of Wills Point, Tx; two daughters, Joy Elaine Hullett & husband, Roy of Lindale, TX; and Melissa Jayne Grimes of Tyler, TX; sister, Bettye Greeney of Tyler, TX; 7 grandchildren and 14 great-grandchildren. The family will receive friends from 6 to 8 pm at Beaty Funeral Home in Mineola, TX. Funeral Services will be held Tuesday, October 2nd, 2018, at 11:00 am at the New Hope Baptist Church in Mineola, TX, with burial to follow at New Hope Cemetery in Mineola, TX with Chad Chadwick, Jimmy Hazard, Cody Mize, Terry Patton, Ricky Newman, and David Grimes serving as pallbearers. 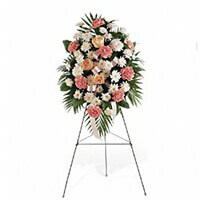 To send flowers to the family of Joyce Jobe, please visit our Heartfelt Sympathies Store.